It's been a wild winter in Canada. Canadians talk about the weather a lot, but this winter we must have talked about it non-stop. In several communities where IFAW's Northern Dogs Project works, it's been minus 30 degrees since November! For the great many dogs who live outside in these communities, it's a grueling test of survival skills. We worry a lot about those outside dogs. This year, our worry gave way to relief. A beautiful partnership with IFAW supporters, Habitat for Humanity, the Upper Grand District School Board and a group of students from College Heights Secondary School built warm, sturdy dog houses for three remote (and freezing) communities where IFAW works. Our partners made the building easy - delivery in a deep-freeze would be the tricky part! Our friends at AMJ Campbell, experienced long-haul drivers, braved the icy highway and made the first delivery to Northern Ontario on a day when it was minus 32 degrees. Standing outside for just a few minutes left me frozen to the core, and really provided some perspective on what the dogs go through. The first delivery proved to be one of the most memorable. It was to Diane, a widow who now lives alone in a sparkling little house with her four dogs. 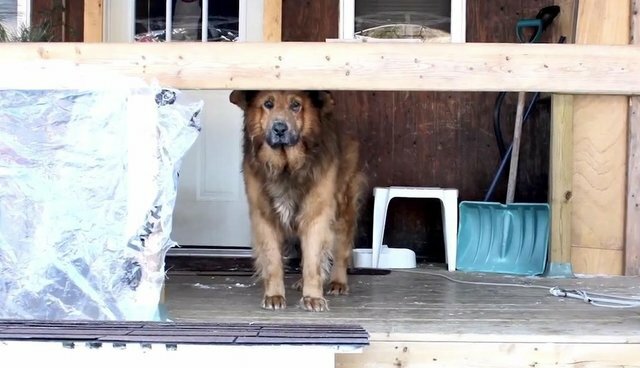 All rescued from the community, her dogs are part of a long line of rescues that she and her husband took in and loved to the end of their days. The most recent additions to her family were Barley and Bear, both abandoned after a neighbor's kids grew up and lost interest in them. Barley and Bear live mostly outside, and while Diane's heart is big enough to care for them, her budget isn't and dog houses just don't factor in. I could have spent the day in Diane's cosy house listening to her stories and hanging out with her dogs, but I left content knowing that she was there for them and they were there for her and that IFAW could help in some small way. The deliveries to the next two communities provided the opportunity for me to cross two things off my bucket list - first, doing a Northern Dogs trip with my husband; second, driving a gigantic truck. My husband took some vacation time and hopped with me and our dog Katie into a massive cube truck laden with dog houses to make the 17-hour drive to James Bay. Together, and with help from our contacts in the communities, we again drove door-to-door delivering dog houses. These deliveries will stay with me forever, because it was there that we met Winter. 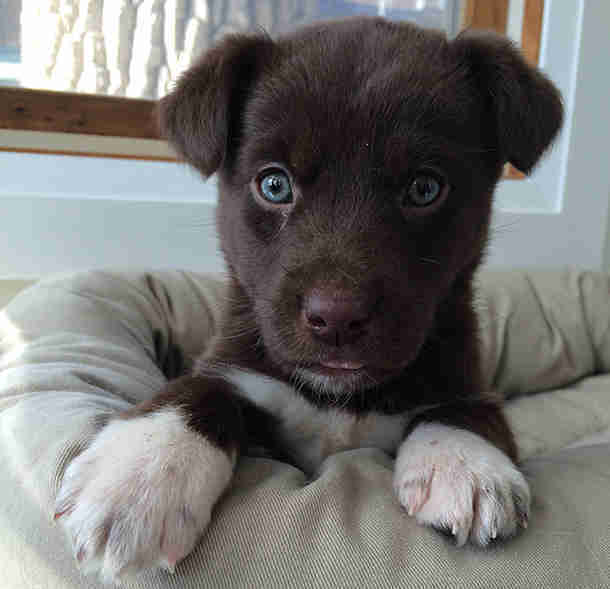 Winter was one of four puppies who was found by a community member outside, alone and abandoned. One of her siblings was dead, frozen to the ground. The other, still alive but unable to move after being exposed for too long, succumbed in the end. Winter, and her one sibling, survived. My son named her. He said that we should have something good to remember about this long, hard winter. It was minus 35 degrees on the days when we were delivering the dog houses in James Bay. It was hard for me to imagine little Winter outside, and it's amazing that she survived. It truly underscored what each of those dog houses meant - life or death for some dogs. Survival. To every IFAW supporter who helped us, to Habitat for Humanity, the Upper Grand District School Board, the amazing and compassionate students at College Heights Secondary School, Home Depot and AMJ Campbell, and to all the communities who asked for dog houses, thank you. The winter weather is leaving us, and little Winter is leaving us to go and live happily ever after with a new adoptive family.